The Supreme Court on Friday sought the Central government's response to a plea by a Parsi woman challenging the Parsi Marriage and Divorce Act. 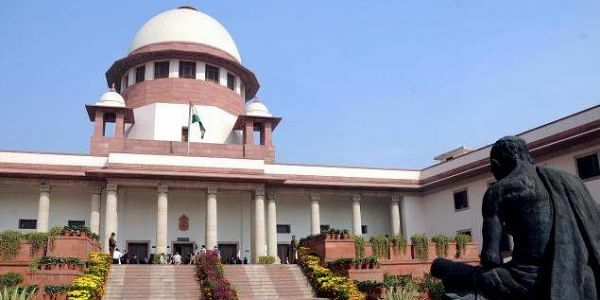 NEW DELHI: The Supreme Court on Friday agreed to examine the validity of the Parsi divorces, under the Parsi Marriage and Divorce Act, which happens through a jury trial. It also sought the help of a law officer of the government in the case. “Let’s seek the view of the Government of India. We want to have the view of the government,” the apex court said, while hearing the plea filed by Naomi Sam Irani. The plea challenges the validity of this system on the ground of being discriminatory. Naomi said that she had filed a divorce case one-and-a-half year ago and is yet to be heard. The petition stated despite abolition of the jury trial in 1959, Parsi divorce cases continue to be tried by a five-member jury under a 1936 law, and the last case to be tried was the murder of famous naval officer Nanavati. The Parsi jury sits just twice a year to hear such cases. The jury comprises retired men from the community and hold sessions at the Bombay High Court. Each jury member has a 10-year term. The SC bench asked the petitioner that this provision under the Act was followed since 1936 and nobody has challenged it yet.